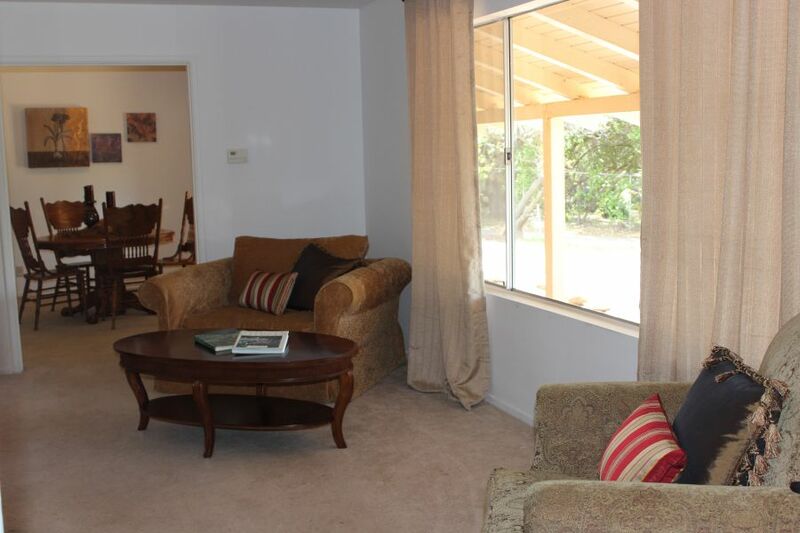 Those who choose to live in Upper Ojai appreciate the tranquility of country living and the convenience of being located between the quaint village of Ojai and the historic downtown area of Santa Paula. Upper Ojai residents also enjoy access to Ventura for extended shopping, dining and entertainment options, as well as beaches and Highway 101, which leads north to Santa Barbara or south to Los Angeles. This approximately 1,896-square-foot, custom, ranch-style home is located on just more than an acre almost at the end of Upper Ojai’s Tree Ranch Road, which allows for an even greater feeling of privacy and seclusion. The usable land surrounding this comfortable home is just waiting to be transformed to fulfill your dream of boarding your horses at home, raising goats or chickens, or partaking in that hobby for which you have never quite had enough room. Fruit trees and mature oaks dot the property, and there is a large, covered, Mexican tile front porch and a deck for enjoyable outdoor living. A dog run at the side of the house provides a roomy home for your best furry friend, while nearby hiking and riding trails allow you and your family, friends, dog or horse to enjoy morning rides or evening hikes. Inside the home, you will find a tiled entry leading to the main living areas. 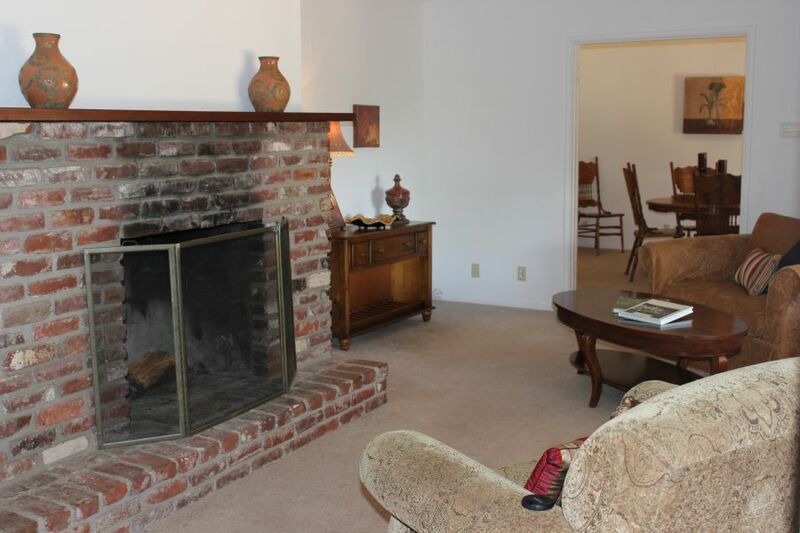 A large brick fireplace makes the living room a cozy place to unwind at the end of the day, while the formal dining room provides space for dinner parties and holiday gatherings. The spacious country kitchen offers lots of tiled counter space and cabinets for storage, and two pantries offer even more room for cooks who love to keep plenty of ingredients and serving trays on hand. The roomy casual dining area is separated from the kitchen by a breakfast bar and has a brick fireplace, which makes it an inviting place for guests to gather to chat with the cook. A sliding door leads from the casual dining area to the deck, allowing for easy indoor-outdoor entertaining. Hidden behind a folding door, there is also an alcove with a built-in workspace and shelving that could be used as an office, sewing or crafting area. At the end of the day, you can escape to your large master suite where you will find an en suite bathroom and walk-in closet, as well as a dressing room with a vanity and storage space. There are also two guest rooms adjoined by a guest bathroom. An additional powder room is located near the kitchen and laundry room. There is also an over-sized, two-car garage and a guest parking area. 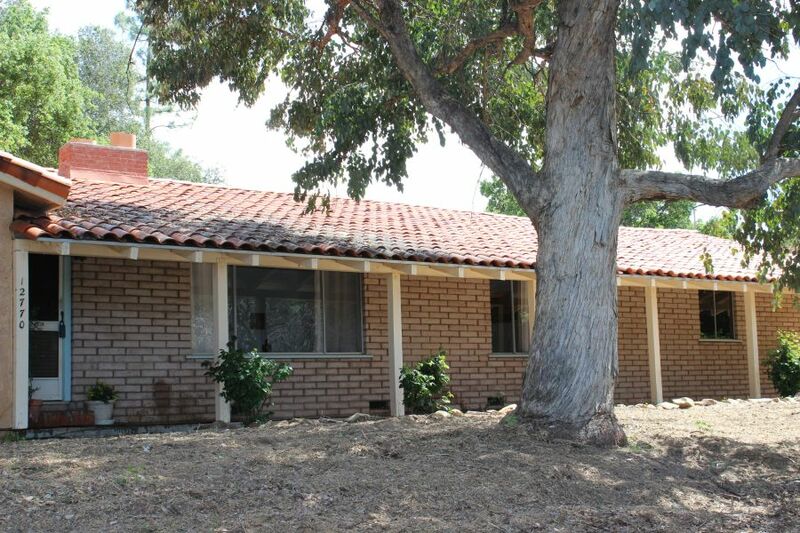 There is a lot of potential to work with in this home, and with some TLC and personal touches, it could be a great country retreat in a location that allows for commuting to Ojai, Ventura or beyond. If you are interested in the country lifestyle offered by Upper Ojai and are in search of a home you can personalize to perfectly fit your needs, call Nora today to schedule a private showing of this country home.